Chandigarh : Punjab unit chief of Bhartiya Janta Party (BJP) Vijay Sampla on Sunday said here that, Navjot Singh Sidhu is still with BJP and he has not resigned from the party. Sampla, who is also Minister of State in the Modi government, said that, "Navjot Singh Sidhu is still in the party and he has not resigned from the BJP." 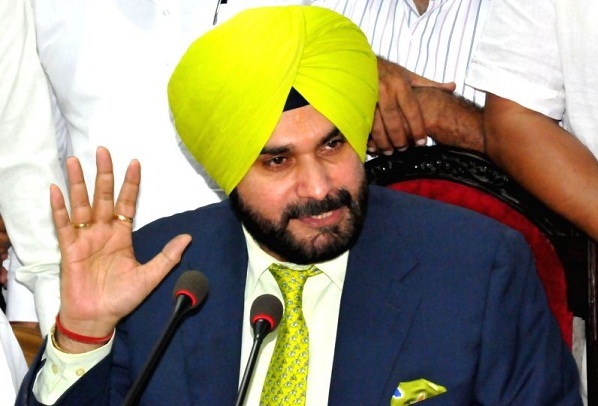 Just three months after his nomination by the Narendra Modi government, Sidhu had resigned from the Rajya Sabha, amid speculation that he may join the Aam Aadmi Party (AAP) ahead of Assembly elections in Punjab early next year. Though Sidhu has remained tightlipped, his wife Navjot Kaur had said there is no question of his going back on his decision. Navjot Kaur, legislator from Amritsar-East constituency and Chief Parliamentary Secretary (Health) in SAD-BJP Government, on July 18 had said that, "I think Sidhu has very clearly suggested what he is going to do and in the coming days let him come out with this (his future plans). He has said that he wants to serve Punjab and there is no choice except serving from Aam Aadmi Party,"
About Sidhu's position now in the BJP, Ms Kaur had said, "It is understood that if he has quit the Rajya Sabha, he has quit BJP. There is no question of his going back, he has never gone back on his words. He wants to serve Punjab. And he will serve the state."